During the mass shooting in Las Vegas on Sunday, police and citizens carried the wounded to safety. Paramedics did not. As a rule, medics don't enter zones of active fire to avoid the risk of being shot and compounding the casualties. In Columbus, paramedics have been working for years to respond to the increasingly common threat of mass shootings. 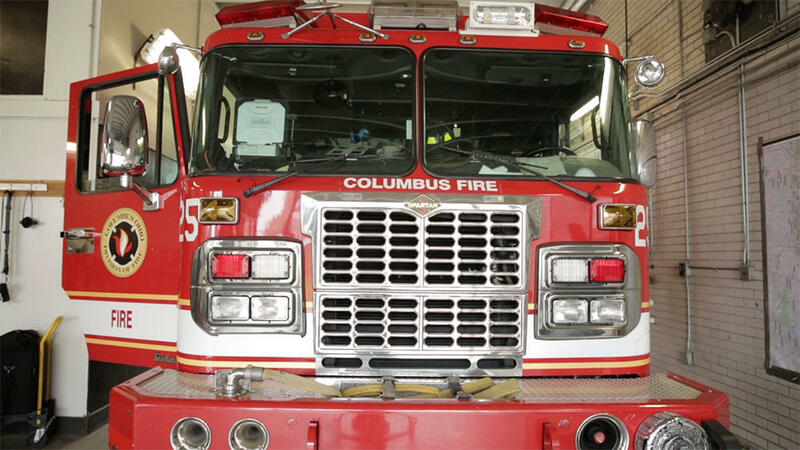 Columbus Fire Battalion Chief Steve Martin says for the last 20 years, paramedics in Columbus have worn bullet proof vests to emergencies with a potential active shooter. More recently the department has trained police to carry the wounded out from areas of active fire to paramedics where they can be treated. Martin says some people think fire fighters should carry weapons. That's not an opinion the department supports, but they are willing to do whatever else possible to protect their first responders. "We do take an oath that we're willing to put ourselves in harms way to save others but we want to do it in a responsible manner too," Martin said. Columbus does have tactical EMS who work beside police SWAT teams. Martin says the department is considering the purchase of bullet resistant helmets to better protect medics.